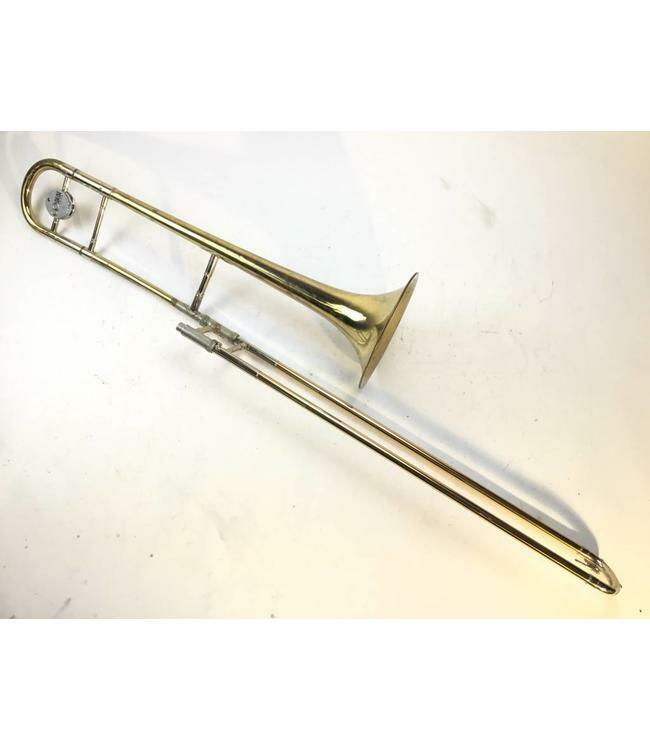 Used Conn 6H Bb Tenor Trombone in lacquer. .500" bore hand slide, 8" yellow brass bell flare. Instrument has heavy lacquer wear and scratches throughout. There are small ding and throughout the bell section. Instrument also has signs of past bell repair to the bell and slide. Comes with case.